This is a Thursday's Travels - Anything about previous, current and future (upcoming) travel exploits entry under my Travel themed blog posts! For more info about the themed blog posts, do read the entry here. I feel that I'm extremely tardy in clearing my travel logs about my honeymoon in Europe! In a bid to clear as much as possible, I decided to shorten the Florence logs! If you are a shopaholic, you can't visit Europe without visiting an outlet mall. We visited TWO in Florence. SPACE Outlet isn't the most accessible place ever. We took a long train ride there and had to wait for a cab at the train station. We waited for close to an hour for a cab! SPACE Outlet sells mainly Prada and Miu Miu items. Upon reaching SPACE, you'll be given a ticket where you'll be 'reserving' your items using the number on the ticket. Tickets run out fast so do be sure to choose fast before your items are gone! Prada generally is more affordable in Italy. I scored a few good buys! Bought a bag and a wallet! If you only have time for one outlet, I'll recommend The Mall. This huge area has brands such as TODS, Prada, Miu Miu (you can skip SPACE Outlet if you're heading here), YSL, Gucci, Giorgio Armani, Burberry, Dior, Fendi etc. Just like SPACE, most places would offer a ticket for you to purchase your items. There is also a Tax Refund area at The Mall. As I've already shopped at SPACE, I didn't buy anything from The Mall. We did enjoy a leisure stroll and viewed most of the lovely items in various boutiques! One of the main reasons we visited Florence was that I wanted to visit the Leaning Tower Of Pisa. I had wanted to take a picture of my Leaning Tower of Pisa nanoblock with the real deal! And I did! Achievement unlocked! There are 3 Davids in Florence. The original David by Michelangelo is located Accademia Gallery by the way. The rest are replicas. Taking a break and enjoying an outdoor performance. Taking time to enjoy the view. Courtesy of Skai's friend's recommendation, we decided to splurge on a meal at Sabatini located at Santa Maria Novella. Known for their excellence service and flambé dishes, Sabatini did not disappoint. Definitely worthwhile to pay a visit! One of the galleries we visited was the Galleria degli Uffizi which holds a great collection of Renaissance art. Do take note that the queues are crazy, would highly recommend going early and also booking a day in advance! Doing the touristy thing. Taking pictures of everything. In this case, of a carousel. For some reason, they look more magical overseas. Also took these pictures to share with BFF who loves them! If I'm correct, the cathedrals and churches are called Duomos. We visited plenty during our trip! Not only is the Duomos beautiful on the outside, they are even more gorgeous in the inside! Enjoying way too much wine. As mentioned in a few blog posts, wine is cheap. Well, cheaper than soft drinks! Knock yourself out! We really enjoyed our stay in Florence! Hope to be able to visit Europe in future again! Will be blogging about Milan soon and after that, my final leg Paris! Traveling by train from Amsterdam to Venice! Venice (by day) captured my heart! What we ate in Florence, Italy! Must eat in Florence: The legendary Florentine Steak! Posted in #nadskai, #nadskaihoneymoon, Europe, Florence, Food, Love, Singapore Lifestyle Blog, Singapore Travel Blog, Thursday's Travels, Travel, What to eat in Florence?, Yours truly.... Tags: #nadskaihoneymoon, David Michelangelo Florence, Duomos in Florence, Europe, Europe Honeymoon, Firenze Honeymoon, Florence, Florence Honeymoon, Italy, Leaning Tower of Pisa, Must dos in Florence, nadnut, nadnut europe, nadnut florence, nadnut's honeymoon, nadnut.com - Singapore Lifestyle Blog, Planning for your honeymoon, Sabatini Florence, singapore lifestyle blog, singapore travel blog, SPACE Outlet in Florence, The Mall in Florence, Things to try in Florence, Traveling to Florence, What to eat in Florence? on December 18, 2014 by nadnut. As mentioned in my last entry on #nadskaihoneymoon, we ate a LOT of stuff in Florence, Italy. While researching for things to ate, Florentine steak kept popping out in our results. I did some reading and found out that the Florentine Steak is also known as the T-bone steak. It takes a long time to prepare and one of Florence's speciality. And it is HUGE. It is THIS huge! As a huge steak lover, Skai aka c(hubby) and I knew we HAD to try this and it didn't disappoint. The Florentine steak was perfect to share between the both of us and was prepared to perfection. The steak came with a healthy amount of potatoes but honestly, I would leave those for last. We nearly couldn't finish our steak, let alone the potatoes! Florentine steak is best enjoyed with a glass of red. So do knock yourself out with wine (it's cheap!) there. I'll soon be blogging about Florence's other attractions in my other Thursday's Travels entries! If you have any questions, please feel free to comment in this entry. I will be blogging about the things to do in Florence soon! We visited Factory outlets, the statue of David, the Leaning Tower of Pisa etc! Do check it out soon! 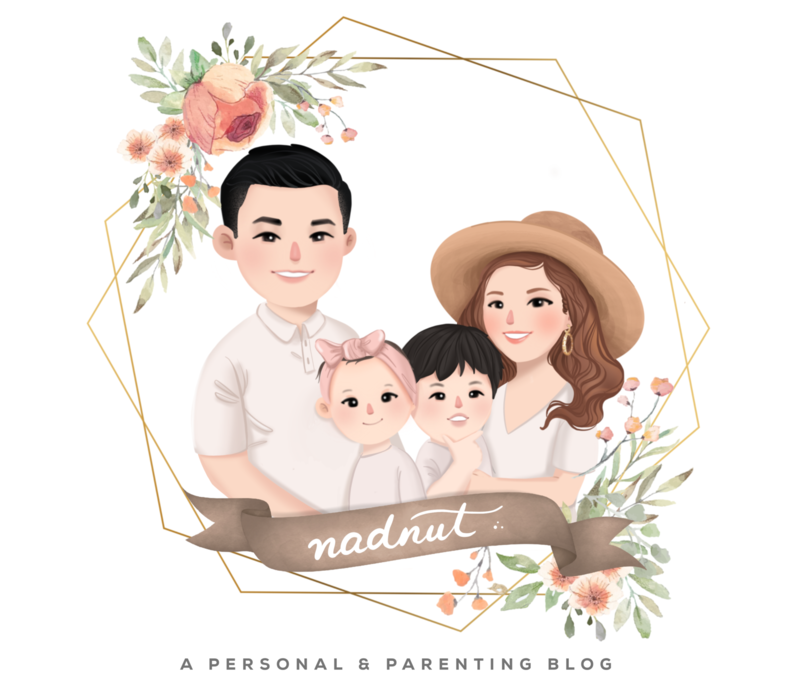 Posted in #nadskai, Food, Foodie Fridays, Love, Singapore Food Blog, Singapore Lifestyle Blog, Singapore Travel Blog, Steak, Thursday's Travels, What to eat in Florence?, Yours truly.... Tags: #nadskaihoneymoon, Europe, Europe Honeymoon, Firenze Honeymoon, Florence, Florence Honeymoon, Florentine Steak, Italy, Must eats in Florence, nadnut, nadnut europe, nadnut florence, nadnut's honeymoon, nadnut.com - Singapore Lifestyle Blog, Planning for your honeymoon, Singapore Food Blog, singapore lifestyle blog, singapore travel blog, Things to try in Florence, Traveling to Florence, What to eat in Florence? on December 4, 2014 by nadnut. There is a reason why I gained so much weight from the honeymoon. Skai aka c(hubby) and I indulged during our honeymoon. We did not fuss over our calories (nor our expenses hahaha!). We're not that sort of couple that worries over every single thing like expenses, calories etc. ANYWAY! This is kinda like a food diary! Things we tried in Florence, Italy! There will be some meals that deserves an entry on their own but I'll get to that later. These are just some of the things we tried in Florence! We liked some of them so much that we went back multiple times! Florence was also the longest leg during our trip! I used to skip hotel breakfasts overseas till I went to Hotel Leonardo Da Vinci. I liked their breakfast selection plus the cosy corner with lovely sunlight was beautiful. The hubby is a huge fan of beef and needless to say, we steak it out. This deserves an entry on it's own. Do look out for my future blog post about the Florentine Steak! We also tried beef carpaccio. Super yummy! We loved the pizza in Amsterdam, so needless to say, we HAD to try the pizza in Italy! Needless to say, it didn't disappoint! CARBO OVERLOAD! How can one NOT eat pasta in Italy? The italians are well known for their pasta skills so needless to say, we tried LOADS of pasta of all sorts! Cream, Tomato based, Aglio Olio, Linguine, Spaghetti, Ravioli etc. We tried EVERYTHING! Again, we tried loads of risotto. Unfortunately not all were good unlike the pasta we had. After a few disappointing tries, we stuck to pasta. We tried a few in some restaurants. Super delicious! Juicy and sweet melon with parma ham can't go wrong. Argh. Craving for it now! I mentioned that we were addicted to the Nocciola / Hazelnut gelato back in Venice. In Florence, I was hooked to the Pineapple / Ananas gelato. Super refreshing! Sandwiches were pretty common in any place of the world la. We did buy a few sandwiches but later stuck to more pastas. I guess if you'll like to cut down on your eating expenses, you could dapao sandwiches instead? This way, you'll save the 'cover charge' imposed in cafes and restaurants. As mentioned in my previous entry, we tried cheese platters and meat platters. Super delicious! Highly recommended to try at least once during your trip! Wine is cheaper than water or soda just like I mentioned in Venice. Skip those and drink wine instead! Posted in #nadskai, #nadskaihoneymoon, Breakfast, Brunch, Buffets, Dinners, Europe, Florence, Food, Foodie Fridays, Hotel Buffets, Love, Lunch, Pictures, Singapore Lifestyle Blog, Singapore Travel Blog, Steak, Thursday's Travels, Travel, What to eat in Florence?, Yours truly.... Tags: #nadskaihoneymoon, Europe, Europe Honeymoon, Firenze Honeymoon, Florence, Florence Honeymoon, Italy, nadnut, nadnut europe, nadnut florence, nadnut's honeymoon, nadnut.com - Singapore Lifestyle Blog, Planning for your honeymoon, singapore lifestyle blog, singapore travel blog, Things to try in Florence, Traveling to Florence, What to eat in Florence? on November 20, 2014 by nadnut. As mentioned in the last Thurday's Travels blog entry, the Hotel Leonardo Da Vinci was definitely the most interesting hotel that we stayed in. We didn't opt for 5 class hotels during our trip nor did we go budget. Instead we chose 3 star hotels in good locations. Skai aka c(hubby) and I felt that locations were more important than the beauty of the hotel. But of course, great locations comes at an exorbitant price. We stayed an ideal location which was kinda central but yet a little bit out of the way. Our hotel stay was SGD$1156.11 for 6 nights. Long long long walk to our hotel. About 20 minutes from the train station. Some pictures of the hotel room that we stayed in. Tiny area to hang our clothes. Our simple bathroom was clean, thankfully. The room was pleasant unlike some of the hotels that we stayed in previously. The staff were also very friendly. We noticed that the room did not come with a kettle and we asked the staff at the front desk. She mentioned that they do not provide kettles but they'll be able to boil water for us at their cafe. Lovely stay in Hotel Leonardo Da Vinci though there were reviews that the traffic was quite noisy for guests, we didn't hear a thing. Maybe cos we're sound sleepers? We took a stroll and stumbled into a night bazaar. We couldn't resist but to partake in a cheese and meat platter, sandwich and a few glasses of wine. The atmosphere was amazing. People were having a picnic at the food bazaar, sampling wine, enjoying cheese and meat. It was extremely laid-back, the weather was great and everyone was just having fun. I really do miss this lifestyle. We noticed another Duomo under reconstruction and couldn't help but take a selfie in front of this beautiful architecture. Seriously, their buildings are so beautifully made. We soon called it a night as we were tired from the journey. On our way back to the hotel, we spied this lovely old couple holding hands and laughing away. We looked at each other, smiled and told each other that we'll be like them. The Asian version of course. I'll soon be blogging about Florence's other attractions in my other Thursday's Travels entries! If you have any questions, please feel free to comment in this entry! Posted in #nadskai, #nadskaihoneymoon, Europe, Florence, Food, Life and Fun, Love, Pictures, Reviews, Singapore Hotel Blog, Singapore Lifestyle Blog, Singapore Staycations Blog, Singapore Travel Blog, Thursday's Travels, Travel, Travel Tips, What to eat in Florence?, Yours truly.... Tags: #nadskaihoneymoon, Duomos in Florence, Europe, Europe Honeymoon, Firenze Honeymoon, Florence, Florence Honeymoon, Hotel Leonardo Da Vinci, Italy, nadnut, nadnut europe, nadnut florence, nadnut's honeymoon, nadnut.com - Singapore Lifestyle Blog, Planning for your honeymoon, singapore lifestyle blog, singapore travel blog, Unique hotels in Florence, Where to stay in Florence? on October 30, 2014 by nadnut.